Republican lawmakers who decry the "Californiazation" of Texas are hoping court action will end single-use bag bans in at least a dozen Texas cities while stemming other local laws that they believe erode individual and economic liberties. The conservative Texas Public Policy Foundation held a gathering Thursday where organizers said the Texas Supreme Court could ultimately rule to eliminate bag bans. The title of the gathering, "The Californiazation of Texas: Plastic Bag Bans," appeared to be inspired by a 2015 speech by then-Gov.-elect Greg Abbott condemning a patchwork of local rules that he said erode "the Texas model" -- such as bag bans in Austin and Laredo, and Denton's prohibition against fracking, which was later overruled. The bans on single-use bags are aimed at curbing litter and driven by environmental concerns, the Austin American-Statesman reported. But conservatives, with the support of the bag industry, have argued the Legislature must step in because such bans are an affront to liberty. "Is the state Legislature going to become the City Council of Texas?" asked Robin Schneider of Texas Campaign for the Environment, which supports bag bans like Austin's. A state appeals court in August tossed out Laredo's ban on store-provided checkout bags. The ruling applied to the 32 South Texas counties in the San Antonio-based court's district. Parties in the case have appealed to the all-Republican Supreme Court and conservatives hope a ruling will end bag bans statewide. In its ruling, the 4th Court of Appeals said Laredo's bag ban was pre-empted by a state law that says cities cannot "prohibit or restrict, for solid waste management purposes, the sale or use of a container or package." Store-provided bags, the court ruled, are containers under the law. 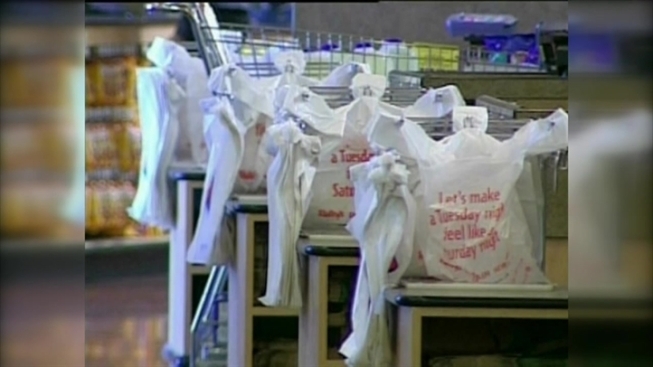 At least a dozen Texas cities have enacted a bag ban or implemented a bag fee. Austin's ban, implemented in 2013, is designed to reduce litter and the amount of waste sent to landfills. A city study in 2015 found that Austin residents use nearly 200 million fewer plastic bags annually than they did before the ban.